Kilt Belt Double Buckle Belt Black Leather D Ring Belt Pirate Belt | Holy Heck U.S.A. 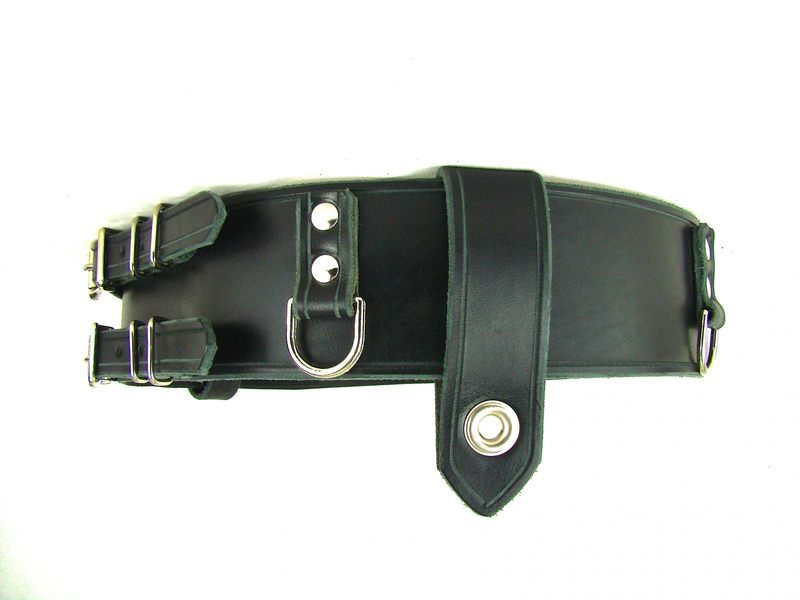 This double buckle kilt belt is 2 1/2 inches wide and made with 9/10 ounce beautiful black full grain leather. Starting with our basic double buckle kilt belt design, we added additional hardware, making this leather kilt belt stand out both functionally and fashionably. 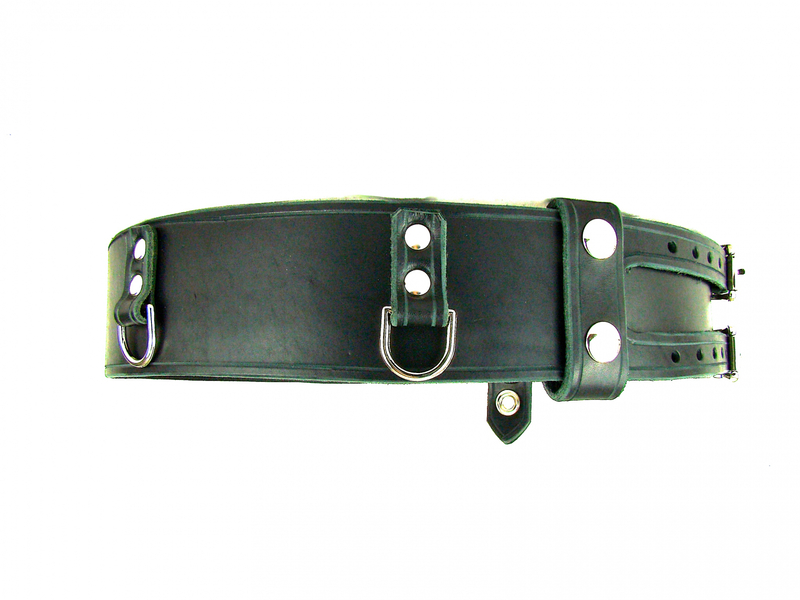 There is a hand sewn double snap keeper, an extra leather slide keeper fastened with a grommet, and multiple d-rings are riveted to the main belt body with leather loops. Your choice of hardware: nickel, black or brass. *Black hardware option comes with leather buckle strap keepers instead of metal keepers. 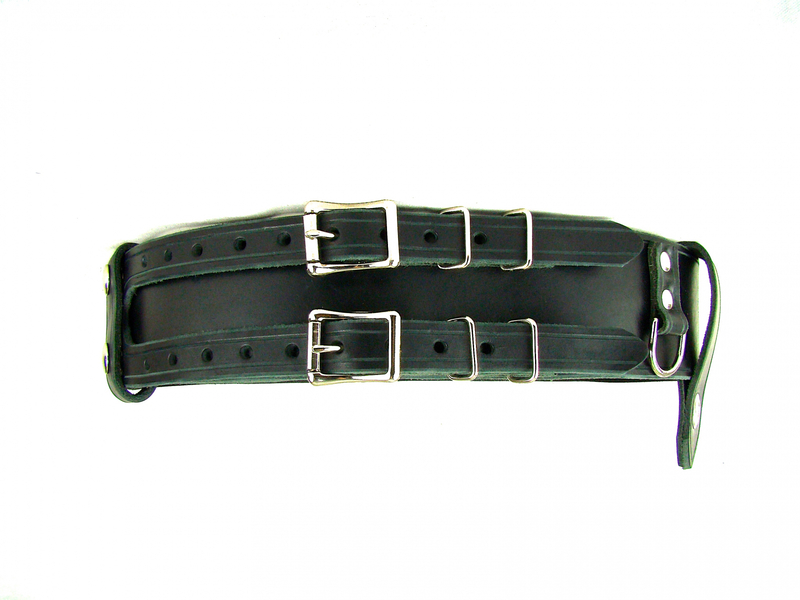 Standard belt sizes available are 28 - 48 inches. Other sizes are available upon request. ***KILT WEARERS - please see the info below on proper sizing of your belt. *** When ordering your belt please note that this is your size with your kilt on. Holy Heck belts are handmade to order. 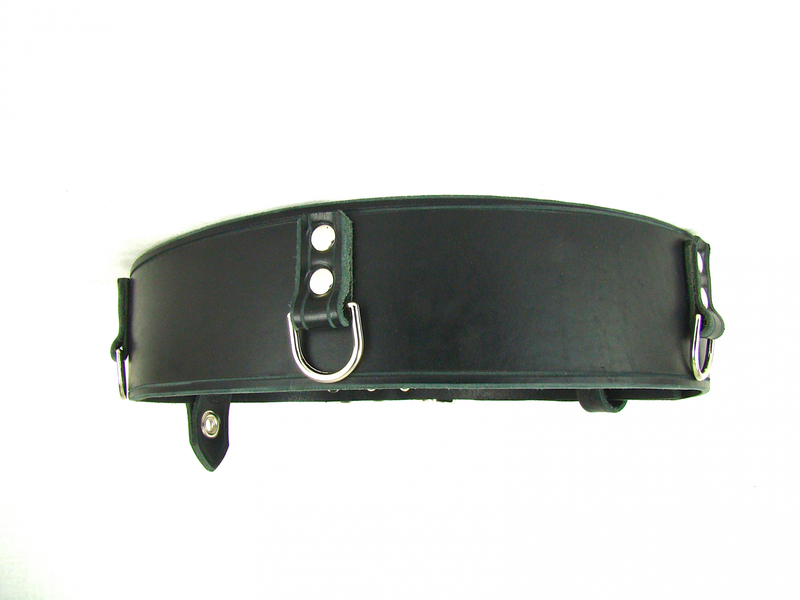 Belt sizes are determined by measuring where the leather wraps around the buckle to the center hole. With your kilt on measure yourself with the instructions below. NOTE: Our kilt belts are 2 ½ inches wide unless otherwise indicated. 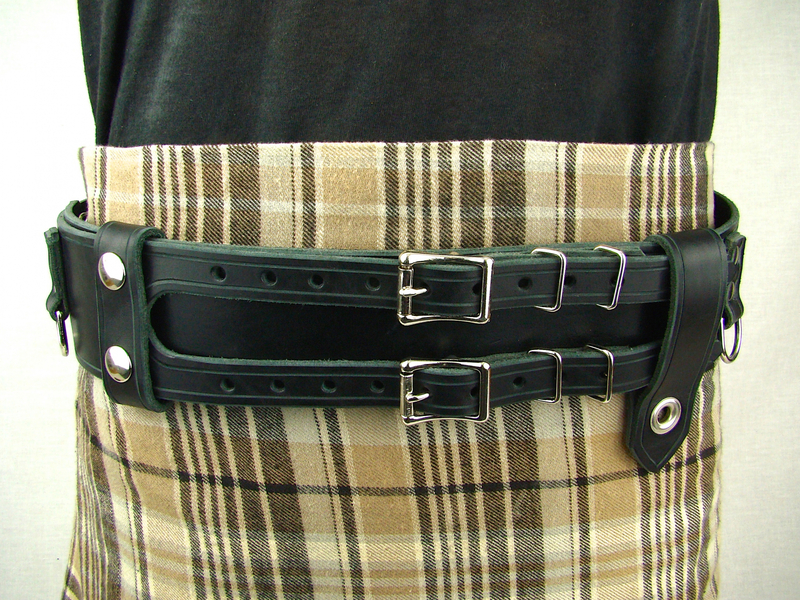 If your kilt belt loops are smaller, contact us and we will customize to fit. 1. Measure yourself where you want to wear the belt. Use a flexible measuring tape or a string that is then measured. If your measurement is 42 inches then your belt size is 42. 2. Measure a belt that you currently wear. Measure from where the leather wraps around the buckle to the hole that you currently use. If this measurement is 42 inches then order size 42. IMPORTANT: Do not measure the belt from end to end. You will not get an accurate size.